Spring is a season as much as it is a state of being. The symbols in this kit speak directly to the ability to renew, regenerate, and begin again. 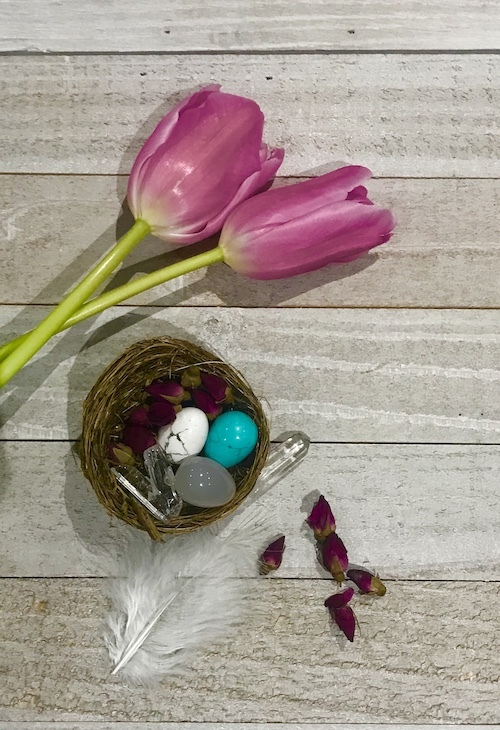 Each kit contains a nest with a single stone egg (colors vary) a bottle of wild flowers, abalone shell, Palo Santo holy wood, prayer paper, and a candle. A gorgeous guided ritual to lead you toward gentle and timely growth is included as well. Any of our gift books can be included as an add-on item for an additional charge.